Looks like N862DA is scheduled to leave Singapore in a few minutes (6AM 1/6) and will go SIN-NRT-MSP to reenter service. Refit 777s will be sold with D1, PS, C+, and Y beginning on flights on and after March 1. There will be 11 rows of C+ according to seat maps after March 1. 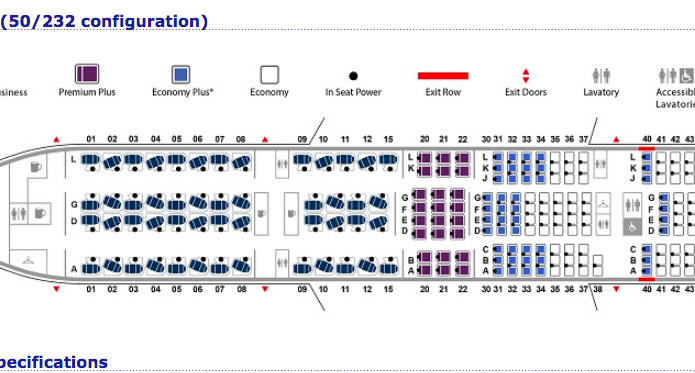 This makes sense since Delta did not plan on C+ in the original refit LOPA and the only way to get the extra legroom is to remove one row of seats, which provides 31" split amongst the 11 rows. 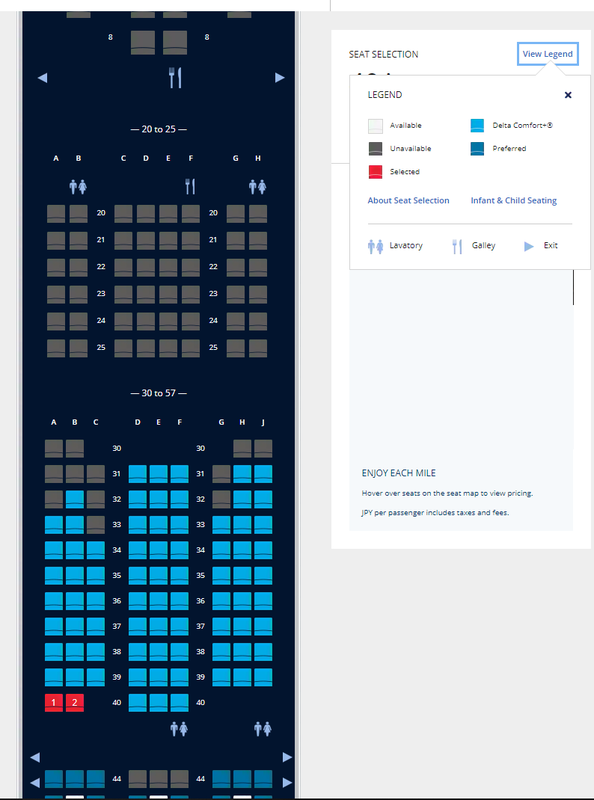 delta.com seat map clearly shows 11 rows of comfort+ on these refurbished 777s. audidudi and dmarge18 like this. It will be interesting to see how so many Comfort+ seats impact buy-up offers. They've got to maximize revenue per unit of floor space (and weight carried). I don't expect too many Comfort+ seats to fly empty after they get some data by route and tweak the revenue management algorithms. May be I am misunderstanding this. So if they are splitting 31" amongst 11 rows, that is anywhere between 2.5" and 3" per row. Doesn't the current C+ product have 4 extra inches per row on intl flights? IMHO, if they have 34" pitch in Comfort+ Delta execs won't lose sleep. 11 rows of C+ on the 777 is awesome. As a PM, this makes flying to DL Australia or South Africa (both on my bucket list) more attractive. Though I would consider PS if the price is right, an 18.5" seat w/ 34 pitch is pretty decent, so the case for 777 PS is kinda weak. I wonder why they didn't do 3-4 rows of PS on the 777 and figure out how to fit maybe 4 rows of C+ and the rest regular Y back to the Door 3 cross aisle. But I'm not complaining! As to why DL is bringing back C+ to the 777, adding it to the A350, and will now presumably will just cut reg Y to add PS to the A330: competition (as well as ancillary revenue for DL). UA has kept (though shrunk) Y+ with the addition of Prem Plus. And AA has a 772 with the following seat count: J37/W24/Y+66/Y146. RaflW and dmarge18 like this. 11 rows of C+? Holy cow. That was pleasantly unexpected! C+ will be full while Y will have the empty seats. At least in my anecdotal experience. Seems like they are trying to minimize ERs flying without the suites. 861DA is barely flying and 867DA has been doing many short domestic hops. Interesting choice. Until C+ fills up, and then only Y seats are available!